Chicken ala king is a very popular dish because of its rich, delicious taste. 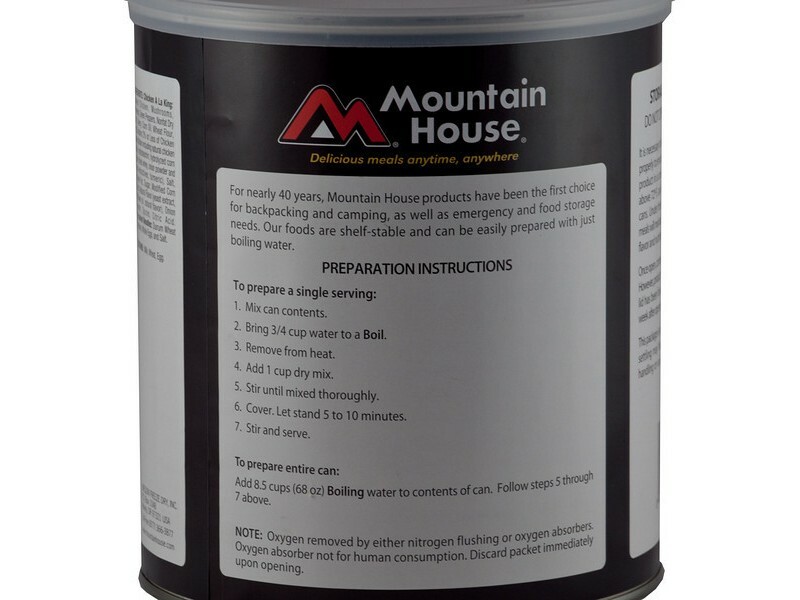 When you’re preparing an emergency food storage stockpile, you’ll want to be sure you have this great item in it. It not only tastes great, but it will also last for 25 years or longer on the shelf without a problem. This will virtually guarantee that when you need it, the food will be there for you. 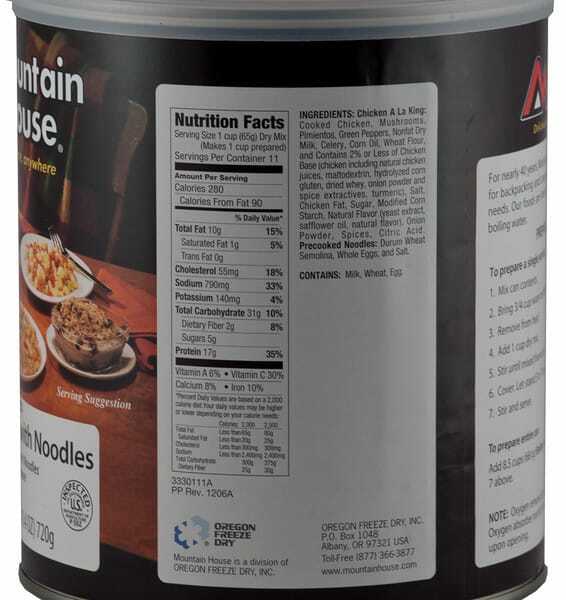 With 11 servings of 1 cup each, this single order will feed your entire family with multiple meals. 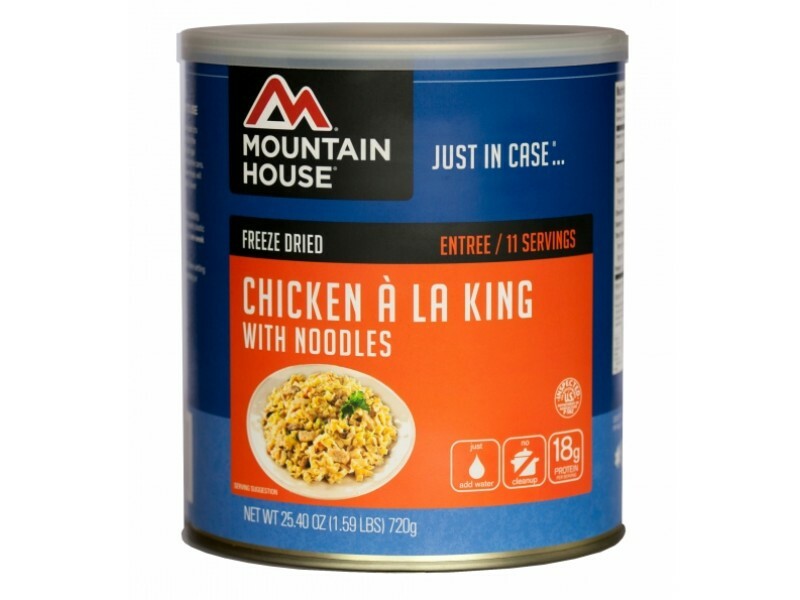 Order this chicken ala king from Mountain House and you’ll be able to enjoy the great tasting meal any time you need it. Whether you’re looking to store it away just in case there is some sort of disaster, or you plan on enjoying it another time, this is an excellent choice. Filled with high quality chicken, mushrooms, noodles and a rich white sauce, everyone will love the great taste. In addition to tasting great, you’ll love the fact that this food is so good for you. It has plenty of protein, vitamins, minerals and other nutrients to keep you strong and healthy no matter what is going on around you. 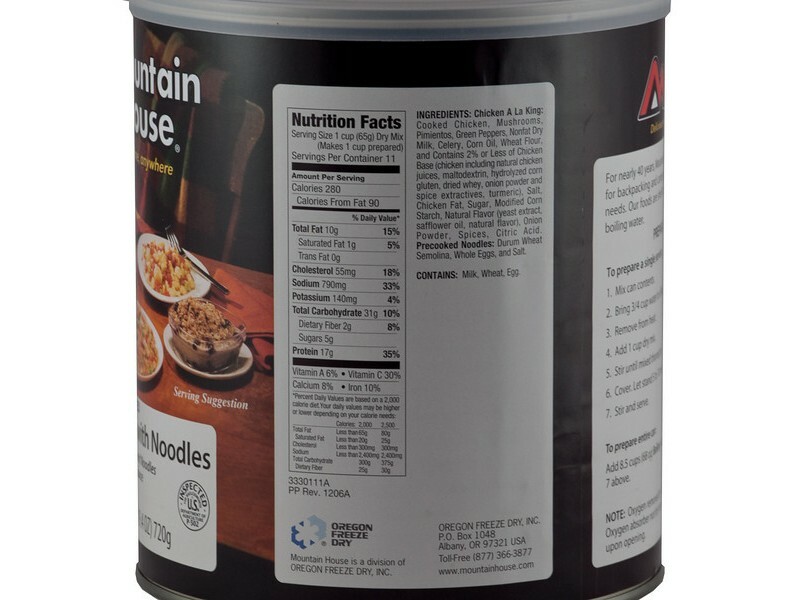 In addition, the food is freeze dried and stored in a high quality #10 can to allow for a 25+ year shelf life so the food is always ready for you when you are. 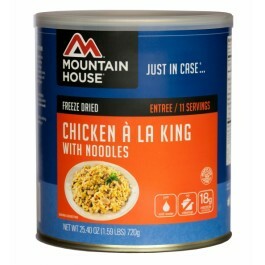 You can scoop out as little or as much of the chicken ala king as you want, and then store the rest for later. Preparation is a snap, requiring that you just add hot water to the desired amount of the food from the can. It is all pre-cooked, so you just have to wait for the hot water to warm it up, and it will be ready to enjoy. 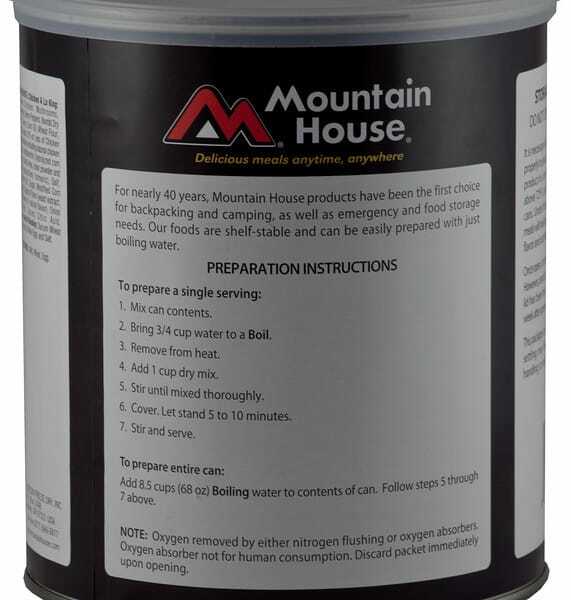 Get these convenient cans of high quality food from Mountain House for your emergency food storage system today. One can contains 11-1 Cup Servings.